*What makes you come to take this course today. Want to learn more about Reiki, and want to make my self calmer. Warm atomosphere, I can feel the energy. Good class, good historical details and sincere teacher. Thank you. It has been a good feeling to be able to understand how to flow energy. Felt welcome and in a friendly place that helps to relax and concentrating on what you are learning. Lovely Introduction, thank you Satoe you are very approachable & I feel I can ask you lots about Reiki, Looking forward to Reiki 2. I learn on how to feel energy & use it for healing and also clearning out energy which is beneficial for my daily life and my family. It was an eye opning experience. I feel different and a lot calmer than before. Q.Why did you want to take Attunement course? I have always wanted to learn more about universal energy. And it seems that Reiki can help me to understand how to use this energy to improve ourselves physically, emotionally and spiritually. I also want to learn how to balance our energy level when we are low in energy and under stress. Q. What's the impression about attunement course 1? The reiki course level 1 is a good introduction for me to learn more about Reiki history. The basic understanding of universal energy and how we can use it in our daily life to improve our energy level. I enjoyed the attuenemnt because I felt really calm and relax about receiving it. The answer is very simple. I was confused of what I have learned so far. I started to learn Reiki since 2007 but I was not sure if I was learning well or really practicing in a right way. I though I should find another teacher to review Reiki 1 & 2 again. I didn’t know how I should select a right teacher because there were so many Reiki teachers online. I thought I just better to wait for the universe to arrange a right teacher for me, I trusted it would come at the right time. In 2013 June, I found there was a post from Shine Body & Soul Healing Centre on my facebook. I just had a look and was surprised there is finally a Japanese Reiki teacher available in HK. I always have a feeling it might be a good idea to review Reiki with a Japanese teacher because Reiki is originally from Japan. After reviewing Reiki 1 and 2 with Ms Satoe Sasaki who is the teacher from Shine Body & Soul Healing Centre, I was happy I finally understand the history of traditional Usui Reiki from Japan and its difference from other steam of Usui Reiki in western countries. Traditional Usui Reiki has deeper explanation of the concept and usage of various symbol and mantra. Its also have more technique to coach you to understand and apply Reiki treatment for yourself and others. There is clear explanation on the benefit of touching different position on the body. It equips me to be more confident when practicing Reiki treatment on myself and the others. Whats the most important is that traditional Usui Reiki coaches me to understand how I can live happier, not just focusing on balancing myself from physical and mental aspect. Through practicing Reiki, I learn to let go of my ego, I am now managing relationship with the others better than before, life is getting easier. 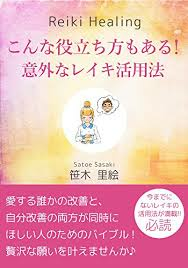 I strongly recommend you to review Usui Reiki with Ms Satoe Sasaki again if you have never learned traditional Japanese Usui Reiki. I am sure you will be more confident to practice Reiki on yourself and the others afterward. I feel so peaceful after the attunement of level 3. I understand deeper of who I am and how I can always feel peaceful and happy. Level 3 equips me to manage my energy level better and guides me the way to live happier. It is completely difference feeling of having attunement of level 1 and 2. After attunement of level 1 and level 2, I felt better and understand myself more. However, I still had a lot of questions about myself and the world. After having attunement of level 3, I feel peaceful always and understand myself deeper, not just more. I am able to manage my daily life better. In the past, I didn’t understand why I needed to learn level 3. There is no level 3 in many western styles Usui Reiki course, after learning level 1 and 2, the road to learn Reiki has finished unless I want to be a teacher. So, I always think Reiki is just sth for healing physical and mental problems. Until I started to review traditional Japanese Usui Reiki in level 1 and 2 in “Shine”, I start to find out learning Reiki is not just a tool to heal physical and mental problems, it’s an effective tool to make myself to feel happy always, so I decided to study level 3 as my birthday present. It really meets my expectation. Now I truly know who I am and how I can feel peaceful always. I have learnt the core philosophy of Usui Reiki in a one to one setting where I get to practice Reiki healing and understand the true essence of what Reiki is, not just physical healing but in a spiritual sense as well. 2. Message comes out suddenly --- love exists everywhere. N we humans have the right to be happy, live in happiness n love. Egos n attachment are things which covered us from being happy. Letting go these things, our life would than be transformed. We will become tranquil inside, at the same time, our heart is always fulfilling, warm, got the feeling of beloved, n happiness is found. The renewal of inner self, so does the true self. Shining !